There is so much competition in the retail space today. Even some companies who work together may want to take each other’s secrets to make a profit. That is what a Florida company is claiming happened to them. Trinity Graphic, a printer from Manatee County, is suing drinkware company Tervis for breaking a non-disclosure agreement and stealing trade secrets. The company is alleging fraud as well. The lawsuit was recently filed in the U.S. District Court in Tampa. Trinity Graphic and Tervis have been working together since 2010. Trinity Graphic was the supplier for the plastic inserts in the Tervis tumblers. Trinity claimed it was pressured by Tervis to invest in equipment. Tervis then allegedly gave confidential information to a cheaper printing company. The lawsuit, which is 33 pages long, details several incidents of unethical behavior by Tervis during the two companies’ eight-year relationship. Leaders of the companies had met at a networking event and decided to work together. Trinity Graphic was hired to print wraps for Tervis’ personalized tumblers. After a year, Trinity was able to create a process that allowed them to print sharper double-sided images for the tumblers. The front and back images were aligned perfectly. The printing process was a success. In five years, Tervis’ annual revenue spiked from $45 million to $150 million. Production grew, and Tervis put pressure on Trinity to buy more equipment without a contract in place. Tervis profited off the relationship, while Trinity Graphic almost became bankrupt. Why? Because Tervis allegedly disclosed Trinity’s trade secrets to two other printing companies—SGS International LLC and Southern Graphics Inc. Both are named in the lawsuit. In one instance, a Tervis employee on a factory tour at Trinity Graphic copied down printer model numbers and gave this information to Southern Graphics. Also, Southern Graphics could not perfect the printing process that Trinity had nailed down. However, once Trinity got Tervis to sign a confidentiality agreement, Southern Graphics was coincidentally able to resolve its issues and nail down the printing process. This led Trinity to believe that Tervis shared the proprietary printing process with Southern Graphics. As a result, Tervis and Southern profited off this deceit— to the tune of tens of millions of dollars. After that incident, Tervis reduced its orders with Trinity Graphics. By December 2016, Southern Graphics was ready to take over Trinity’s equipment and orders. Trinity, however, worked on a more competitive bid so it could regain control of the wrap printing. The following month, Tervis ended its relationship with Trinity Graphics. Southern Graphics was given the rest of the orders. Tervis has denied that anything unethical occurred and plans to fight the case in court. As seen in this case, disclosing trade secrets to others can have negative consequences for all involved. Companies lose revenue, while others get sued. Protect your company’s assets by investing in a solid non-disclosure agreement. 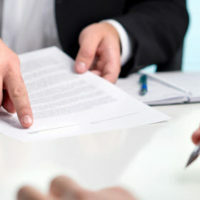 Orlando non-disclosure and confidentiality agreement lawyer B.F. Godfrey from Godfrey Legal can help you draft an effective agreement that includes all the required elements.To schedule a consultation, give us a call at (407) 890-0023 or fill out our online form.